So much knowledge available for free at the click of a button “search”, so many secrets revealed by ‘master’minds to ensure we got what we want, so many days lived celebrating and cursing our lives, so many scars and wounds healed by the words of compassionate masters and so many events turned around by the magic of sorcerers. One fine day, I asked myself, “Where am I?” I found myself where I started but with a renewed conviction, ‘Que Sera Sera – whatever will be will be’. I am ready for life with arms wide open and here comes life smiling at me, “At last you understood me, my friend”. For it’s all the drama. The Maya. 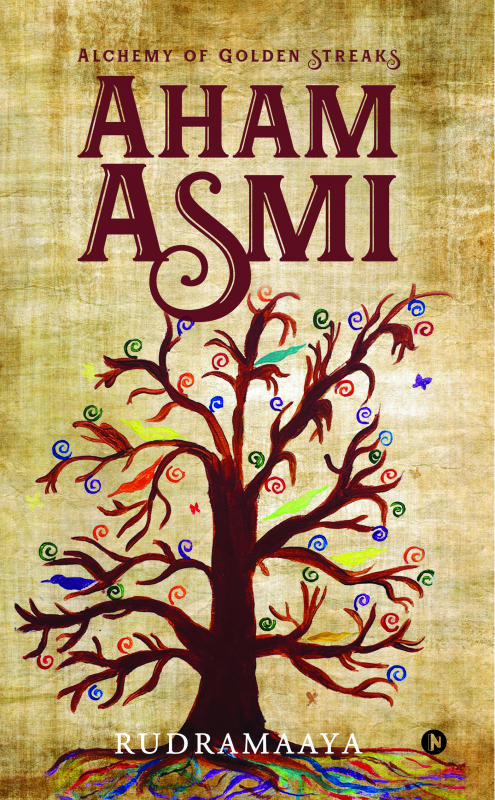 Aham Asmi (meaning I AM in Sanskrit) is a compendium of thoughts on life, relationships and spirituality that will take you on a truly inspiring journey , making you feel ‘Life is really beautiful’. Lakshmi Balaji, who writes in the name of RudraMaaya, is a Physics graduate turned Chartered Accountant, Turnaround Consultant and Life Coach based out of Bangalore. Her upbringing has its roots in a traditional South Indian family. Stories from the epics nurtured her outlook of the world and her high schooling exposed her to Sanskrit and the Indian culture. She has been an avid seeker since childhood; a 'why-why' girl questioning every belief that we are exposed to. This book, arising out of her experiential learning captured in simple thought forms, is the first of the Alchemy series that she intends to author. The book revolves around her core belief that life has to be lived uncomplicated to make it an enjoyable journey.